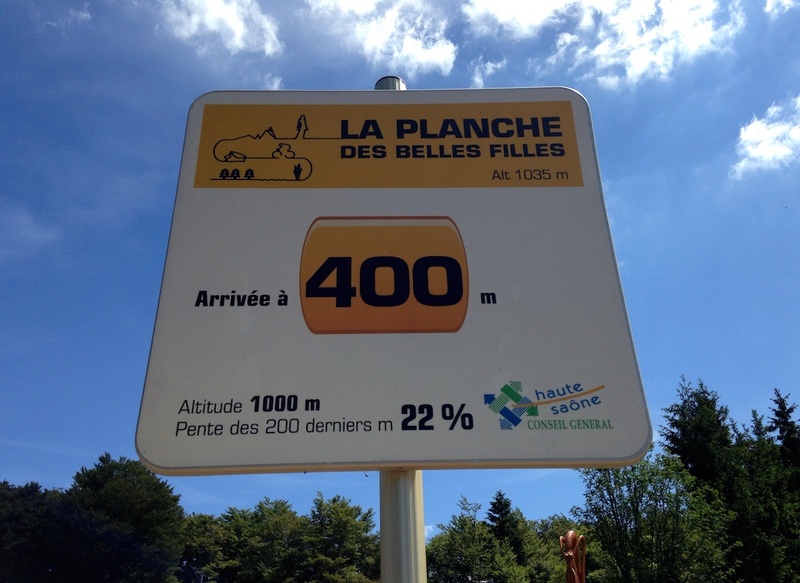 La Planche des Belles Filles will be the final climb of Stage 10 of the 2014 Tour de France. My plan: A beautiful loop through the Vosges mountains visiting Col du Ballon d’Alsace, Col des Croix, Col du Ballon de Servance, and finally: my first time climbing to La Panche des Belles Filles. 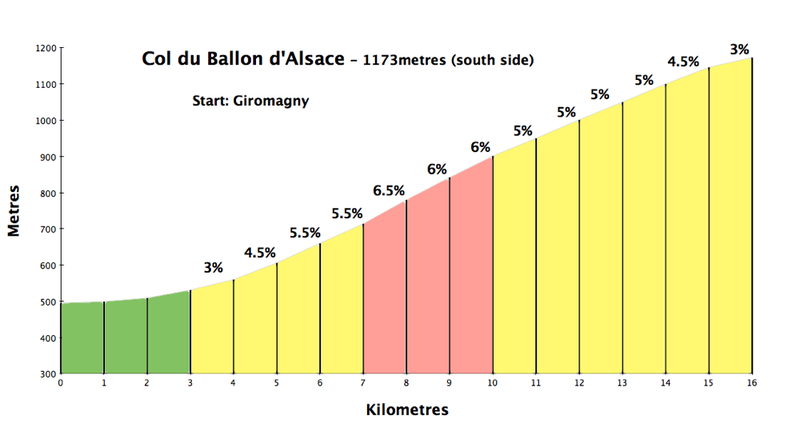 Col du Ballon d’Alsace was first climbed by the Tour de France in 1905, and twenty times in total. There are three ways up – I had climbed the other two previously, but never the Giromagny side until today. 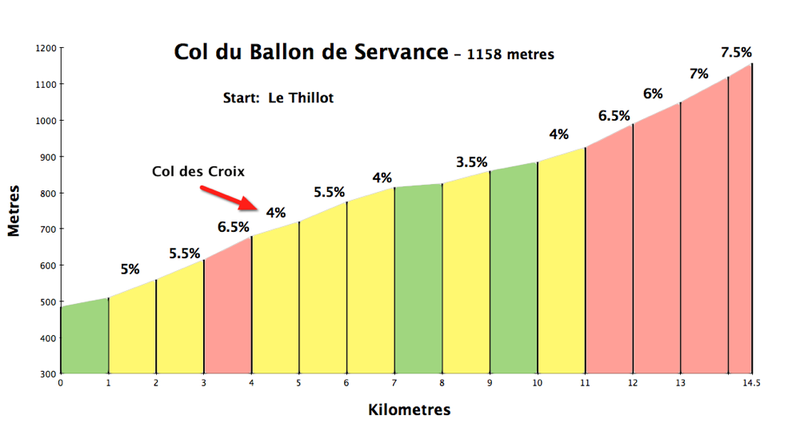 As the profile above shows, it is not steep, rarely above 6%. It’s scenic enough with plenty of hairpins. At the summit is a monument to René Pottier (see below), who was the first to cycle over the summit in 1905 (he didn’t win the stage though). The only busy part of this quiet loop is the 3 kilometres from the bottom of the Col du Ballon d’Alsace until Le Thillot. Be careful. After a long, narrow, wooded descent I found myself at the start of the climb to La Planche des Belles Filles. 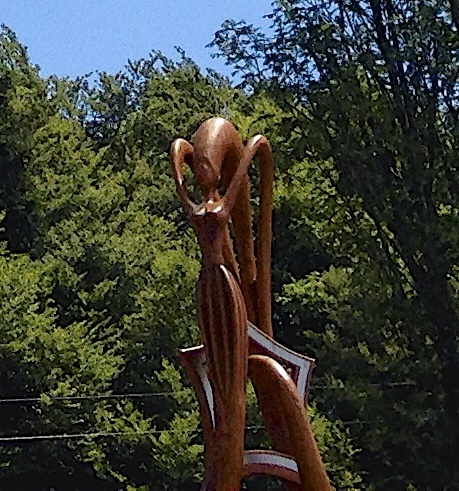 Don’t get me wrong: Belles Filles is a great final climb for a Tour de France stage. But it is a boring, viewless, wide, purpose-built, hot, lousy climb-to-no-where. It wouldn’t make my top 100 French climbs. Not even close. I have no clue who is paying the Tour for the honour of hosting this finish, as it is a tiny, tiny ski station that would barely be the worst 3% low un-used corner of many big Alps resorts. And the villages below are small and seem quite depressed economically. The climb is very, very tough, and very irregular. Average grades are near meaningless, as it ranges from unbelievably steep to three short stretches that are actually downhill – including in the last kilometre just before the crazy final ramp. The final ramp is crazy steep with a 22% stretch. 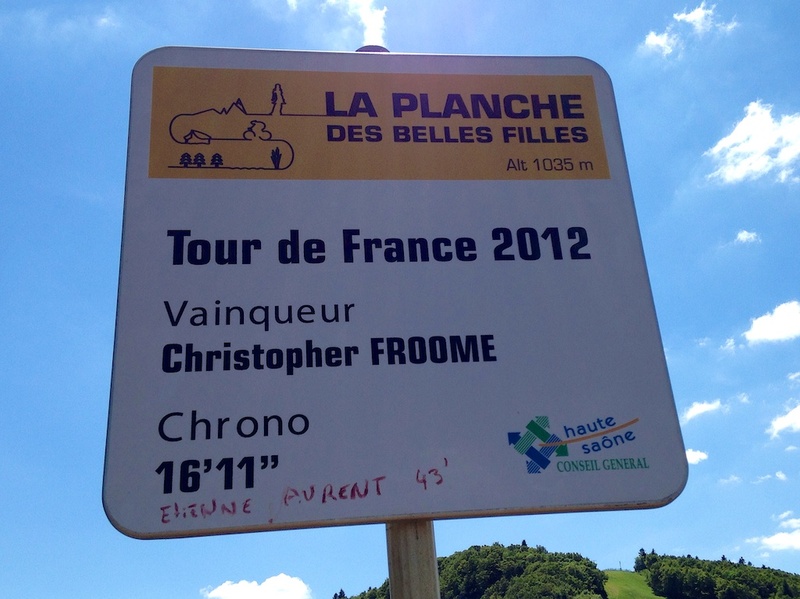 The only other Tour de France appearnace for Belles Filles was 2012 in a stage won by Christopher Froom. Overall, this is a very nice loop. These days, La Planche des Belles Filles has become well known due to its two Tour visits. But frankly, it is a boring, hot, climb to no-where. 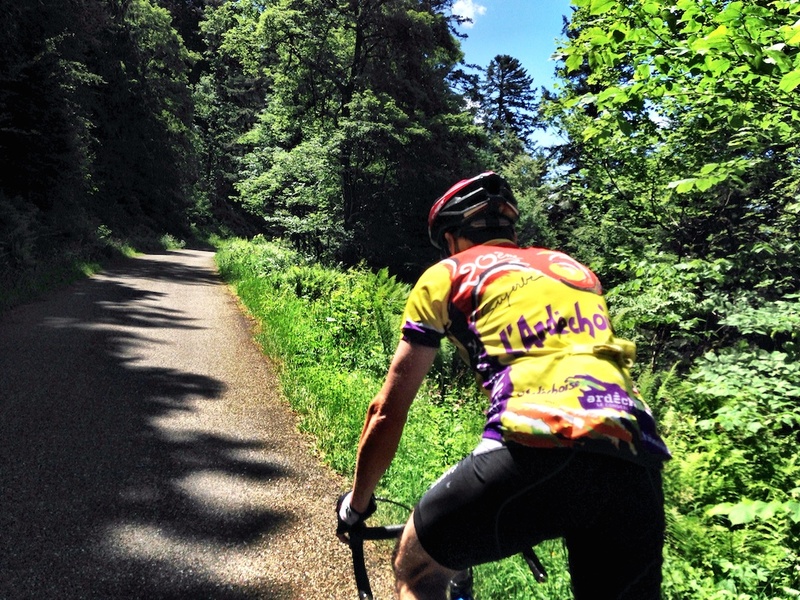 The Vosges is a great place to cycle medium sized cols on quiet roads. A nice loop. 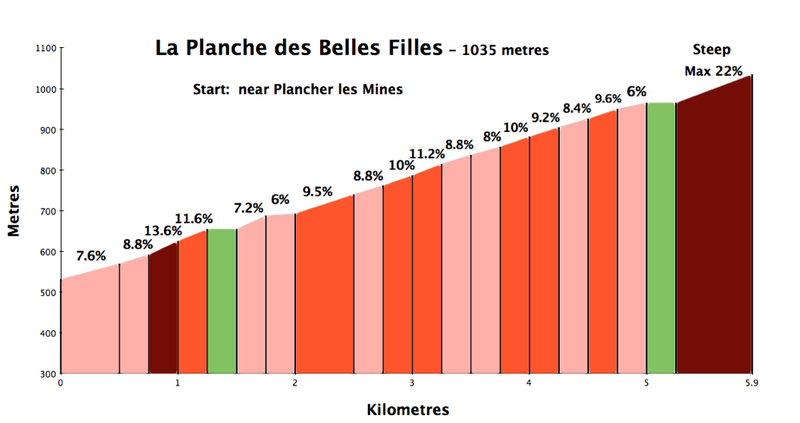 But La Planche des Belles Filles is steep but nothing special. Thanks for this one, Will. 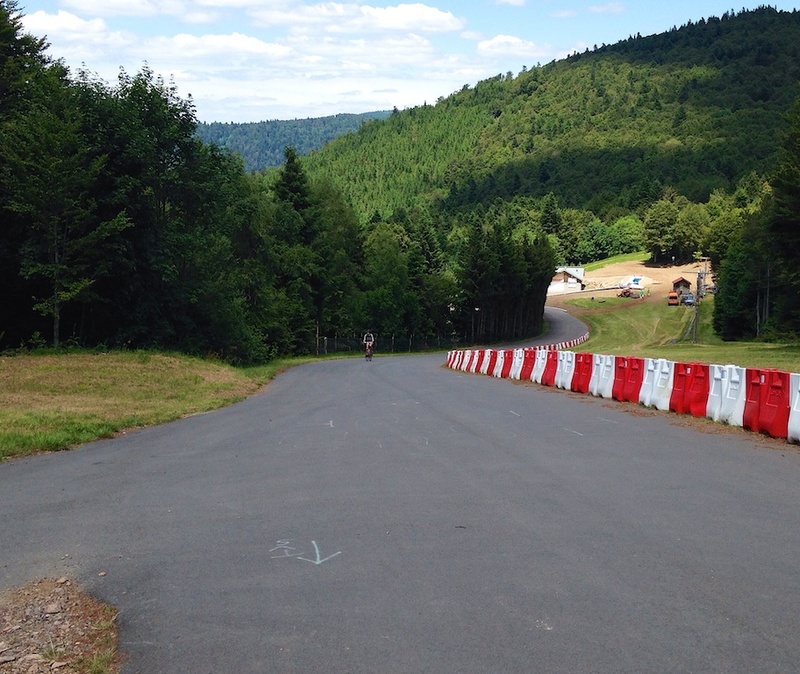 I’ve just had a great 3 days cycling in the Vosges, and looking for something to do on the third day, I did this loop exactly as advertised. Agree with your comments about La Planche, but I enjoyed the challenge and am pleased that I’ve done it. Saw more cyclists here than anywhere else in the three days. Ballon de Servance was signposted as closed for forestry work, but we took the risk and went up.Nobody was working ( saturday ) but the road was covered with pine debris, which made the descent a challenge. 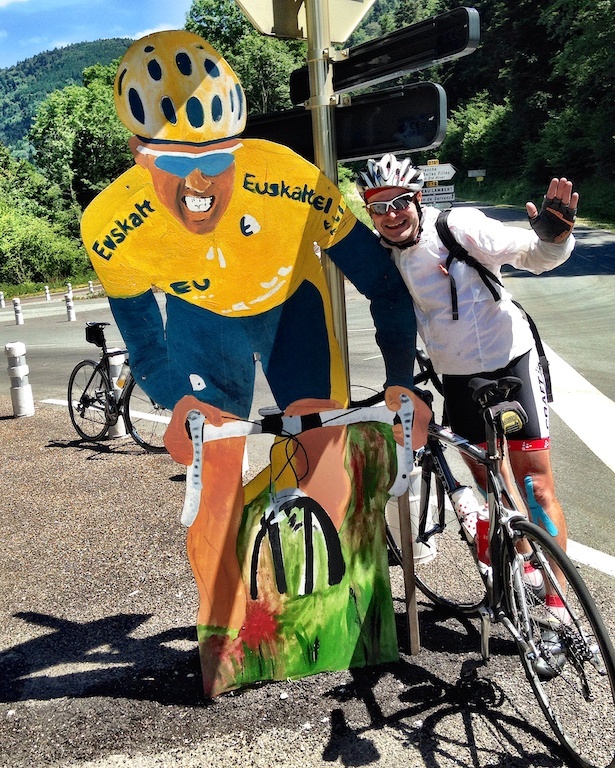 There is a cycle path from the bottom of the Ballon d’Alsace to the start of the Col de Croix missing the road altogether. At the T junction, cross the road and the path is behind the patissier. I did the route on the way home from L’eroica in October – the Servance is superb – like stepping back in time!